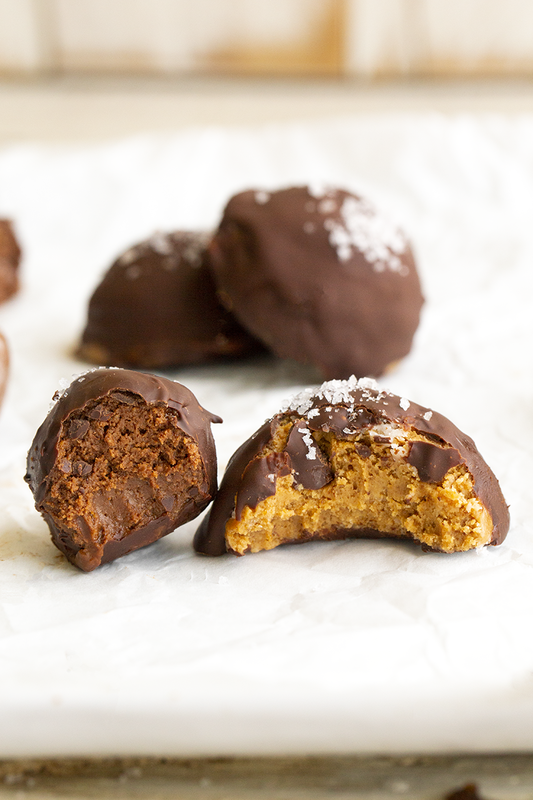 These vegan Chocolate Peanut Butter Truffles are super dreamy. 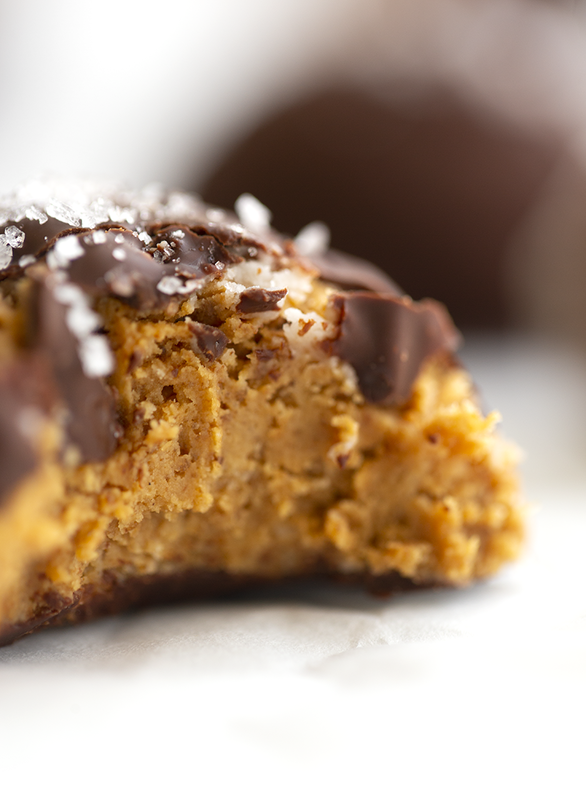 Rich and decadent with sweet peanut butter and chocolate flavor in every bite. Seas salt on top brightens up the rich flavors. 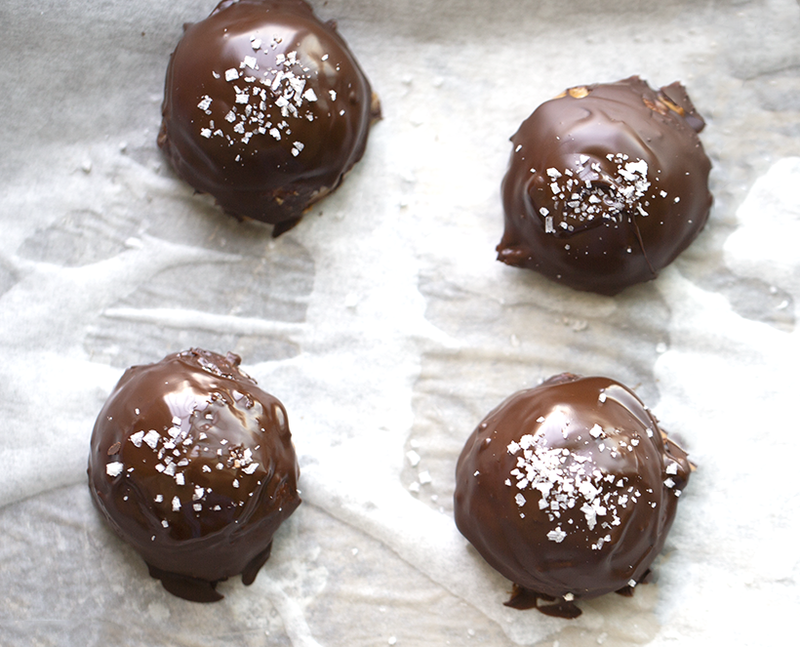 I share two ways to make these truffles. Classic chocolate-covered peanut butter and a double chocolate fudge version too. Make a big batch to share with friends or store them in the freezer to nibble on whenever you want a sweet treat!.. Truffle Shape. For the double fudge truffles, I did a classic rolled and hand-dipped truffle shape. Kinda knobby and mostly a sphere-ish shape, with texture. But for the pure peanut butter filling I wanted something fun and eye-catching - and also something that allowed me to maximize the peanut butter filling. So I used a donut hole baking tin to mold my truffles. You can try this method, or try your own candy mold shape. If you do not have a candy mold, a muffin tin will work. 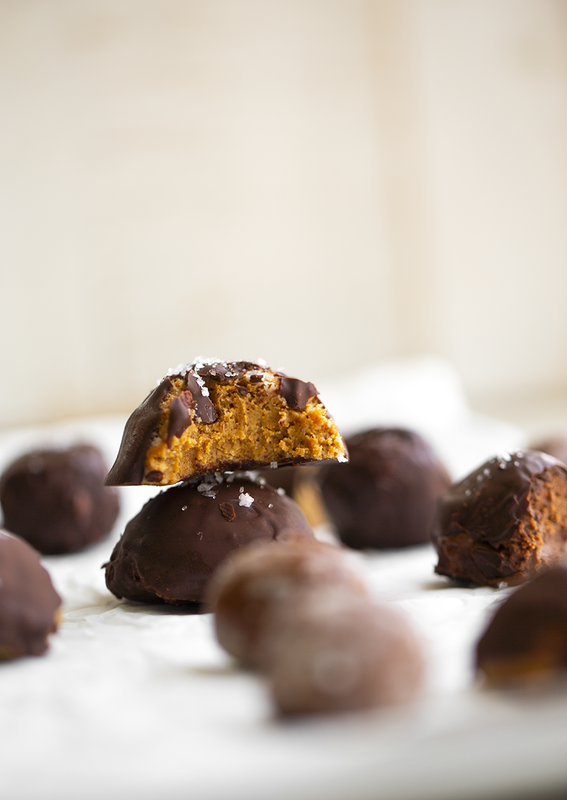 OR you can simply roll the filling into peanut butter "balls" - as I did with the double fudge truffles. Truffles do not have to be perfect spheres. If you like that look, go for it. But really, a textured sphere with waves of chocolate is also so pretty. 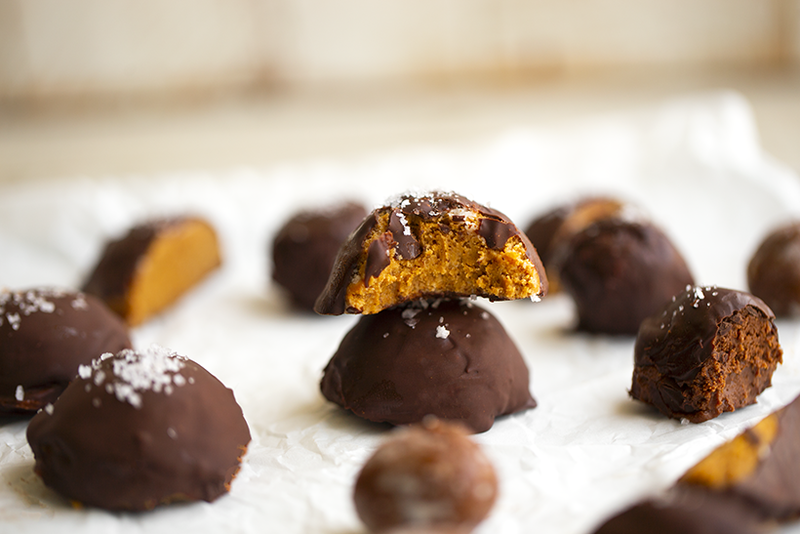 These truffles will taste super yummy even if they don't look candy-shop perfect. This recipe contains powdered sugar. If you do not have powdered sugar or do not want to use that variety of sweetener, you can absolutely play around with using other sweeteners - or even omitting the sweetener altogether. 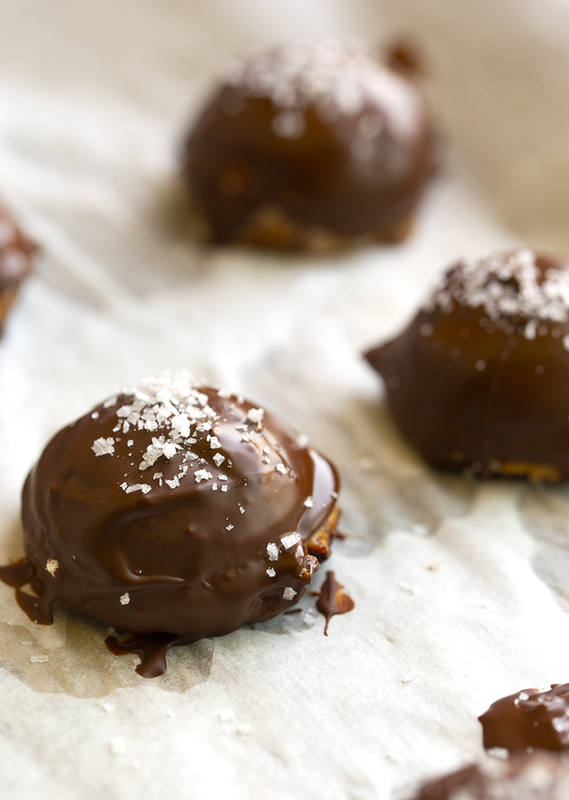 If omitting the powdered sugar, the trick will be to really let your truffle filling chill for a long enough time so that you can handle the mixture easily when rolling into balls. You could also play around with using coconut flour as a thickening ingredient. What do these taste like? 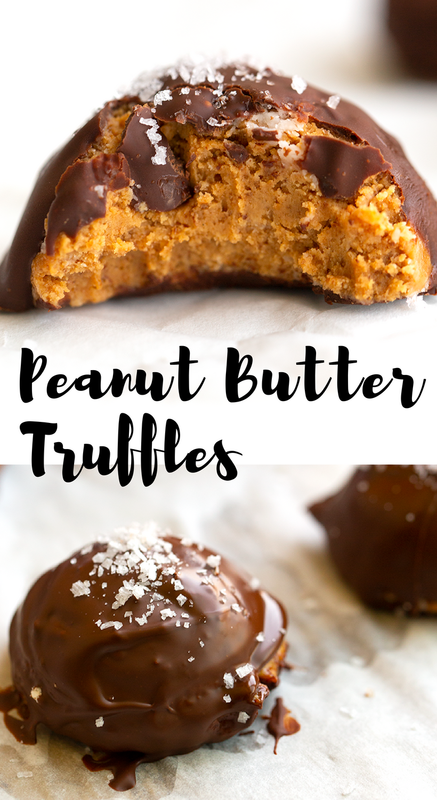 Well when I first bit into the peanut butter truffle it tasted like a really rich and tender peanut butter cookie, wrapped in velvety chocolate. The bright accent of sea salt brought out all the flavors. The double fudge truffle tastes like the same thing, only with a brownie or chocolate cookie accent. Both versions are delicious! Peanut butter filling all chilled and ready for dipping.. Double fudge filling, ready to be dipped..
That sea salt on top.. 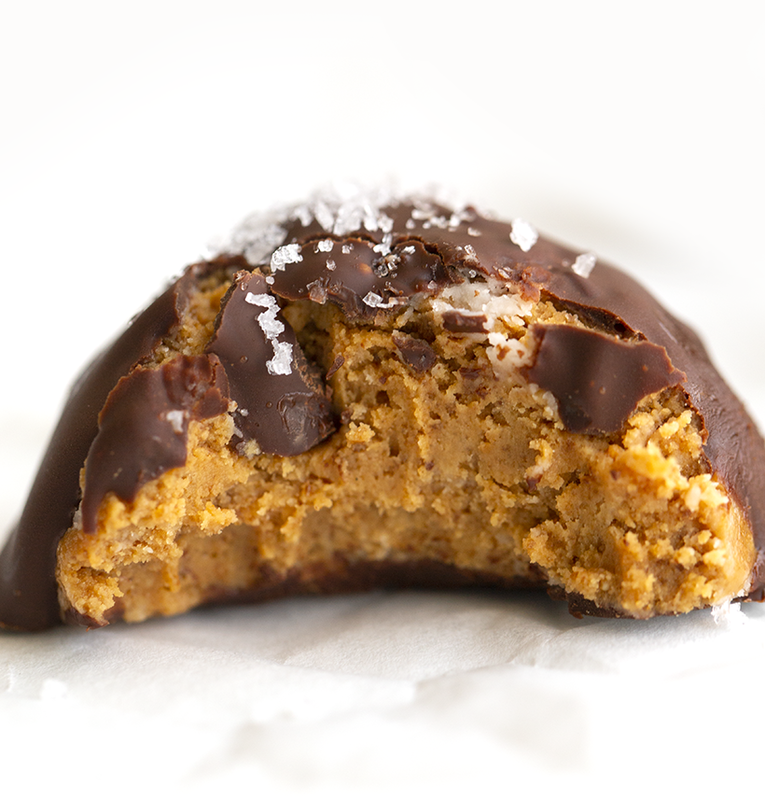 These rich and dreamy chocolate truffles are filled with a sweet peanut butter mixture. Place the peanut butter mixture in the freezer for at least twenty minutes, to allow it to firm up. Roll the peanut butter into small balls. USed a bit more powdered sugar, if needed to handle. 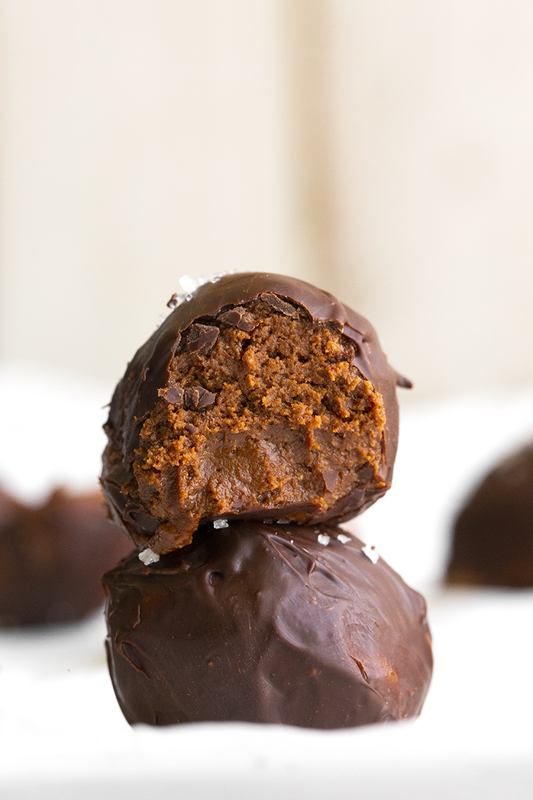 You can either chill the truffles as balls, or use a candy mold. I used a donut hole baking dish. 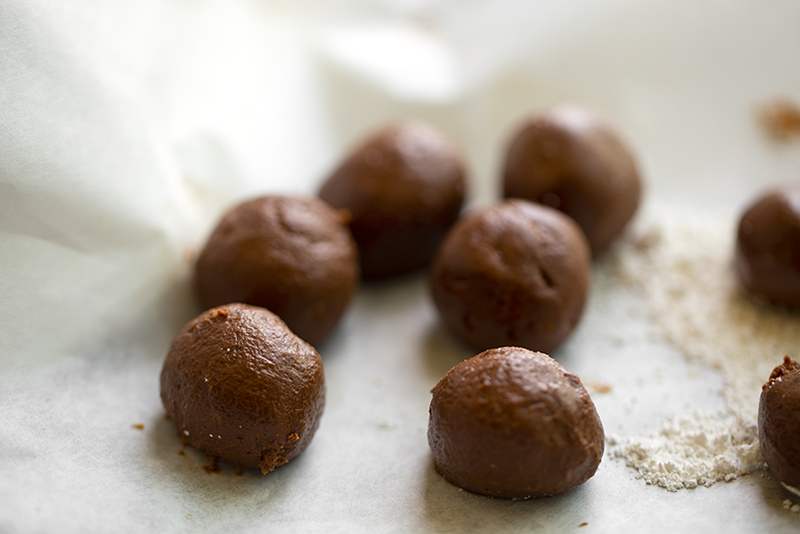 Place the rolled or molded truffles back in the freezer for another 5-10 minutes. 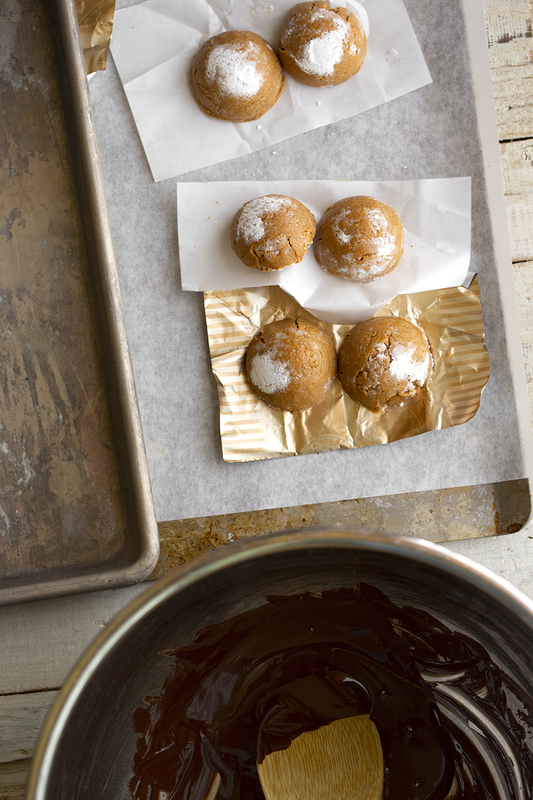 While the truffles are chilling, get your double broiler started for melting the chocolate. Pour a bit of water in a pot and place on the stove. Turn heat to medium. Add a stainless steel bowl over top the pot and place the chocolate in the bowl. Using a wooden spoon, stir the chocolate until fully melted. Turn heat to low if the bowl gets too warm. You do not want to burn the chocolate. 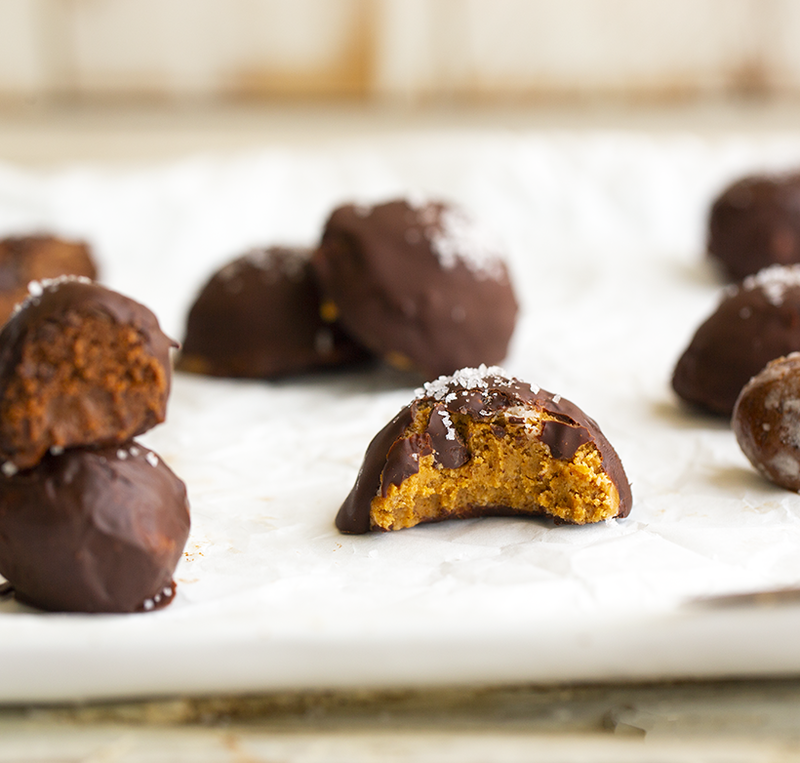 Pull the fully chilled and molded peanut butter truffles from the freezer. Carefully dip them in the melted chocolate and place on a parchment-paper lined baking sheet. Yes, this step gets a bit messy! You can either drizzle chocolate over top the truffle as you hold it over the bowl or carefully roll it around in the chocolate, fully immersed. whatever method you use, just try to be swift so that the peanut butter doesn't start melting. 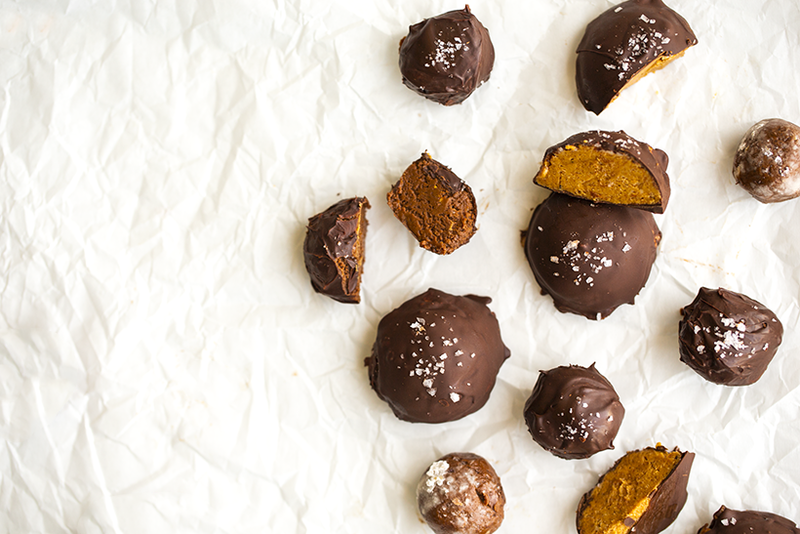 Repeat until all the truffles are dipped. Sprinkle sea salt over the truffles. Place the dipped truffles in the fridge or freezer for a few minutes, just to fully firm up the chocolate. You can serve these chilled or soft and melty, at room temp. Double Fudge Version Note: If you want to make the double fudge version, simply substitute the coconut sugar with 2 Tbsp unsweetened cocoa powder. Add the cocoa powder to the mixture when you are beating the powdered sugar into the peanut butter and butter. Sweeten to taste - if you want your filling a bit on the sweet side, add more powdered sugar. For a more bitter flavor, add less. You could even add more cocoa powder for a bolder bitter/dark chocolate flavor. The same method applies for the chilling and rolling truffles. Chill until handling is easy and if needed, add a few pinches more powdered sugar to help you handle the filling.